OK—have you noticed the wonderful return of Silhouettes? What is it about those simple, black side views that are so deeply moving. A silhouette is a declaration of love. Love for the giver and the receiver. I remember my mother sat for one a long time ago—oh how I wish I had it today. 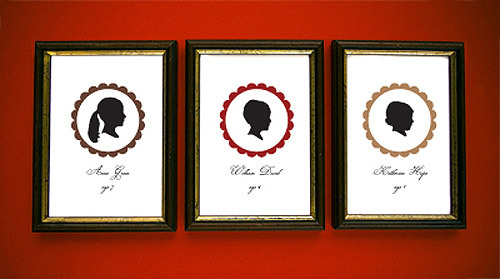 Purchasing a silhouette portrait is an investment in a family heirloom. I plan on getting one done of the Peach and I plan on doing it through Simply Silhouettes. Angela and her sweetie, the dyanamic duo behind Simply Silhouettes, create a beautiful basic portrait and turn it into something even more delicious, such as jewelry, stunning stationary, wall art and a host of other amazing things that will be the perfect present for Father’s Day as well as gifts for yourself. 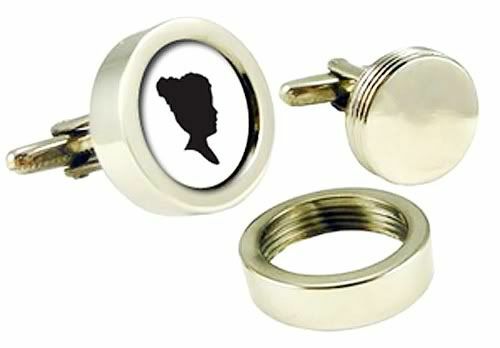 Mr. Dottie, turn your head away… you have to admit that these cuff-links would be an AMAZING Father’s Day present. And those bottom cuffl-inks—you can change out the silhouette as your child gets older. Genius. Nay. Super Genius. Simply Silhouette takes this Victorian art form and gives it some very charming twists—such as doing portraits in wonderful different colors like green or a very sophisticated gray. And Angela takes it out of the frame and into things you use very day—like these adorable trays! Get a load of this slice of awesome—putting a silhouette on a background of glorious chevrons for the most marvelous iPhone skins. You must check out their Website and terrific blog which tracks silhouette trends! They are popping up in the most fun places. Who says it has to be just about the kids? Hurrah hurrah! Our friends at Simply Silhouettes are doing a great giveaway with us—offering a $50 gift certificate for any products on their wonderful online store! Also, you can score a 15 percent discount now through June 20th if you mention Modern Kiddo when making your purchase—and you’ll receive a re bate in 24 hours. Woohoo!!! If you are going to do this before Father’s Day, I suggest you get your order in early as these customized beauties can take roughly 3-4 weeks to create. And they give great tips on how to take that perfect silhouette photo they need to create a kiddo masterpiece to boot! To enter the giveaway, all you have to do is leave a comment! For a BONUS ENTRY, simply add us to your reader (that little area on our sidebar) or add us to your Twitter feed! We’re @modernkiddo. If you are already a kiddo fan, then RT the contest and you’ll get a bonus entry for that too! (And leave a comment letting us know you did so, please!) Easy peasy! Contest ends Thursday, May 27th at 11:00PM. Posted in Giveaways, Sponsor Love. oh! i’ve been wanting to order from them for a year or two now! i love the modern twists on some of the pieces. These are just lovely. 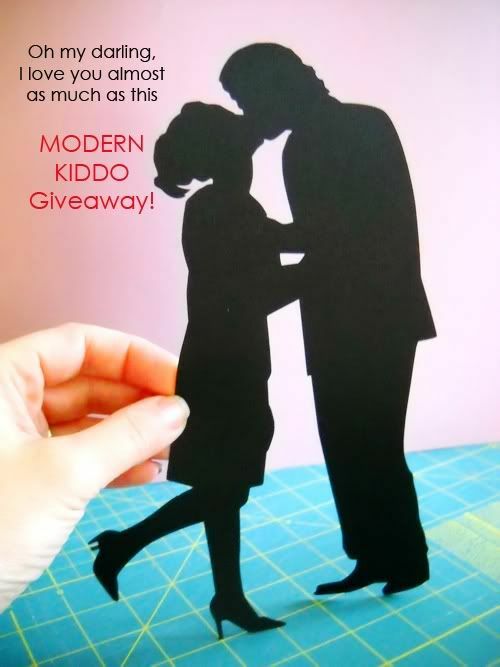 I’ll gladly leave the giveaway to folks who have kids with hair, though–silhouettes are so much nicer if they don’t look like a melon with a nose! Oh I just love silhouettes! I’d love one of the trays, how cute. Oooo… fun! I’d love one of those trays too – very very adorable! I have the perfect wall in my house that I wanted to put silhouettes on- this is perfect!! We got our sillhouettes cut for us at disneyland this past winter, and I have to say they are lovely and timeless! I would adore the opportunity to add to my new collection-thanks for pointing me inthe right direction!! Ooh these are just beautiful. Count me in! These are über chic! Thanks for the chance to win, you guys rock. That iphone silhouette is beyond gorgeous. The green + chevrons + the silhouette = perfection. i love silhouettes and especially simply silhouettes! I adore these! They are gorgeous!! So awesome! Would love to have these done for my kids. oh how fun! I have some of these from trips to Disneyland when I was little! Great giveaway! I love silhouettes. They can be both classic and fun. Hi ladies- as you know I am an avid reader daily… blog, Facebook, Twitter AND you are on my sidebar of my blog. ;0) What more can I say? I love you! Gorgeous! I would love to do a couple silhouette as an anniversary present! I’m simply blown away by how sweet and meaningful these silhouette gifts are! My heart would MELT if I won this giveaway. I’d make a keepsake silhouette of my family and give it to my husband for Father’s Day. He deserves a really special gift. Neat stuff!! I really really like the cell phone cover. Love these! 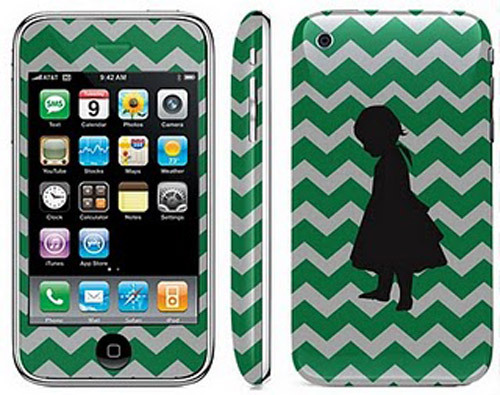 I would love one of those silhouette iphone skins! These are so cute! I’d love to get one for my new daughter’s room! Those look great! 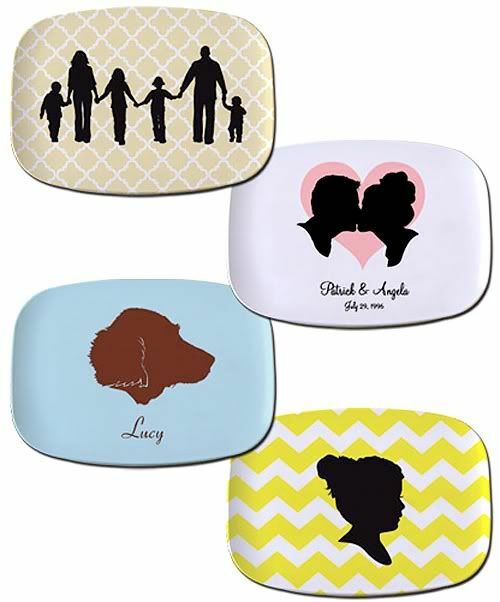 silhouettes would be such aesome personalized gifts! This would be cool to win. These are awesome and are always a classic! What a spectacular one-of-a-kind gift for yourself or others! These are so cool! I would love to get something made with my son’s silhouette for my Mom’s upcoming birthday! I love these they are so cute thanks for the chance to win. My daughter’s 4th grade teacher made silhouettes of each student, and hers was lovely. Since this was five years ago, I’d love an updated one! I would love to win one so much I can taste it.